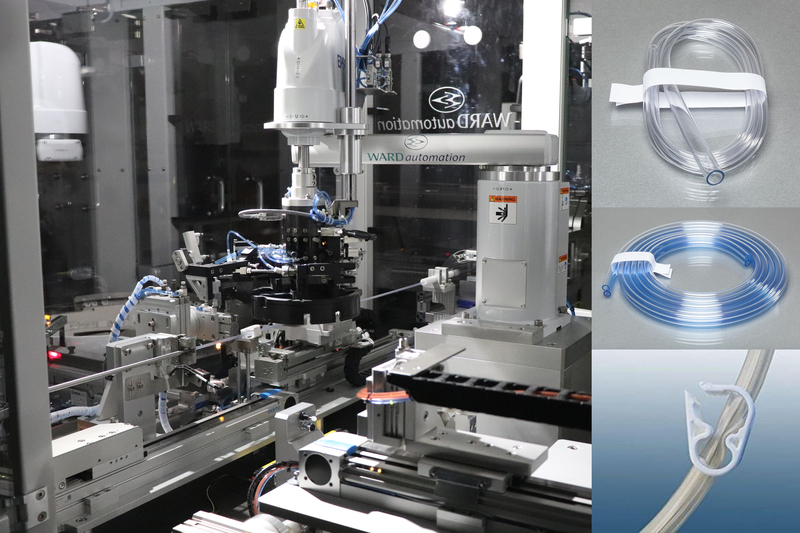 Our Galway-based team have recently developed and installed a fully automated machine to cut, coil and cohesive band medical tubing for a major customer. The machine also assembles pinch clamps onto the tubing. The machine has flexibility to manufacture three configurations of coil, with flexibility to add future coil configurations. The machine is fully automated, including automated tool changing when switching between coil designs. We expect this equipment to be of interest to manufacturers of infusion sets and similar coiled tube-based products.